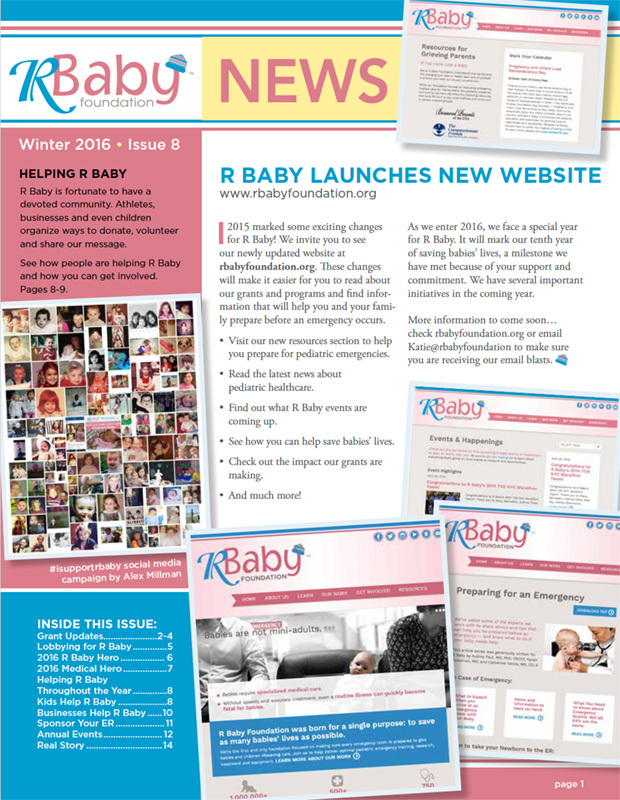 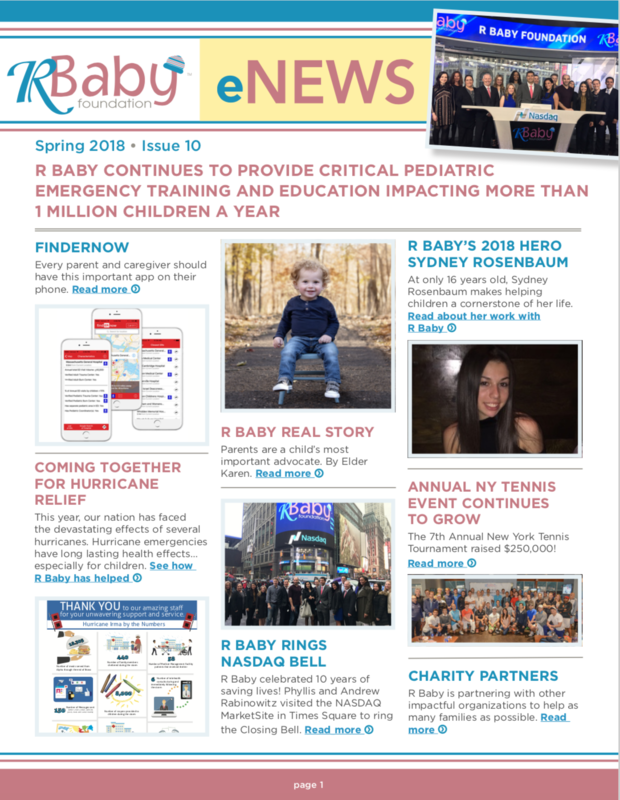 R Baby Celebrates 10 Years! 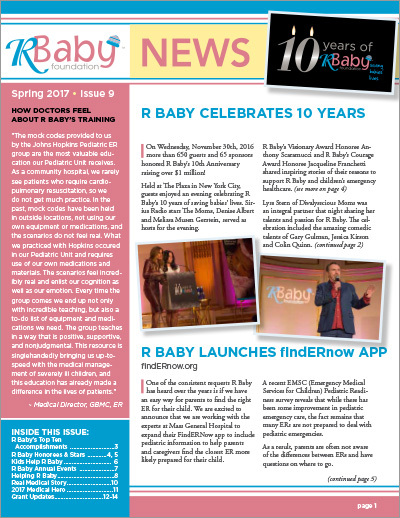 Our Top 10 Accomplishments, findERnow App, and more. 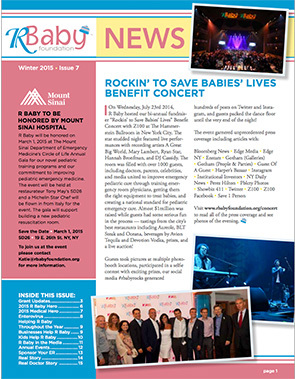 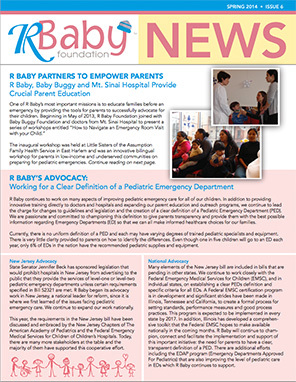 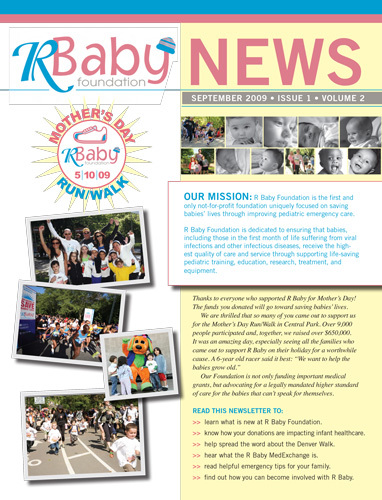 Partnerships, Advocacy, Grant Updates, R Baby Heroes, Events and more. 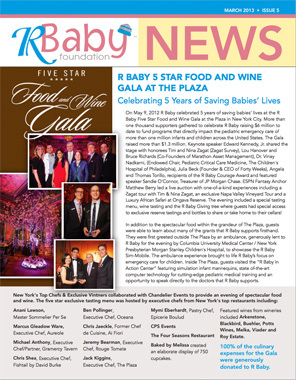 5 Star Food & Wine Gala, Advocacy, R Baby Heroes, Partnerships and more. 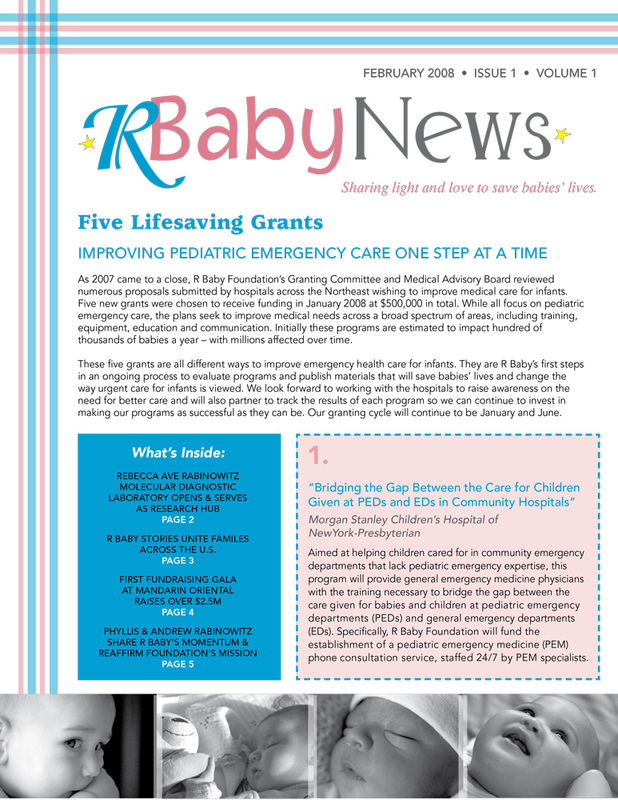 R Baby Foundation Celebrates 5 Years of Saving Babies at our 5th Anniversary Gala!